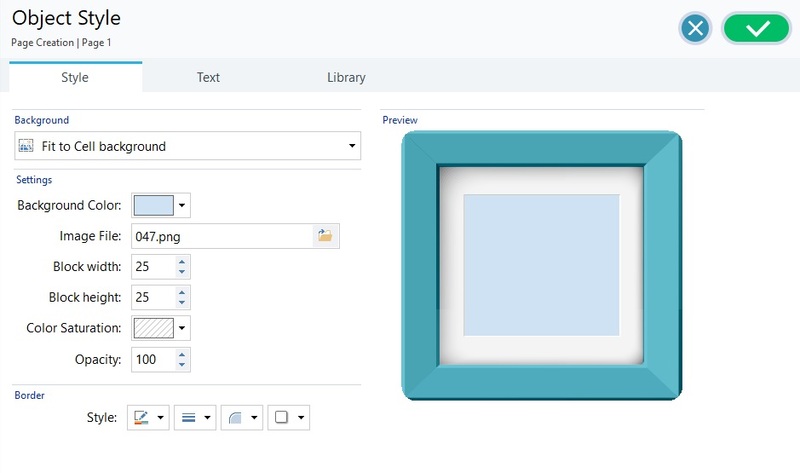 When you are working on the Page Creation, and you have dragged an object to a cell in the page layout table, you can define the style of the object, clicking on the button and using the options in the Object Style window. 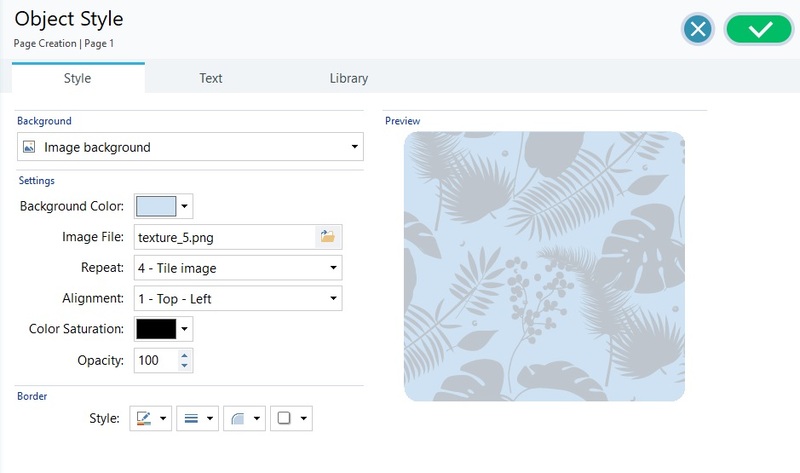 You can customize the style of an object in various ways: one way is to import an image (a file in .JPG, .GIF or .PNG format) and use it as the background for the object. Depending on the type of image that you import you will have to choose the Image background option and give settings for the Repeat and Alignment options, or use the Fit to Cell background option to find the best result. The imported image has the same size as the cell that contains the object. 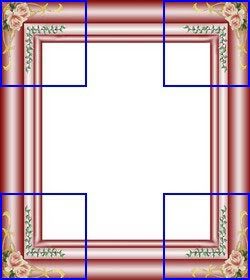 The imported image is a pattern: there is no horizontal or vertical meeting point when two or more identical parts are placed side by side. 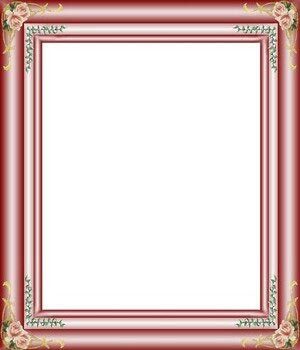 The imported image is a frame that has to adapt to cells of varying sizes. Block width / Block height: set the best size for the blocks. 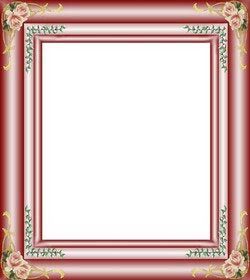 The original picture (Picture 1) is an elaborate frame that can be easily cut into blocks and adapted to any size: the ornamental parts in the corners are a fixed size and the shading can be repeated as a pattern without abrupt changes in color. In Picture 2, you can see the blocks whose sizes have to be specified (in the Block width and Block height options). The width and height is the same for all the blocks and is given as a percentage of the original picture: it can vary from 5% to 45%. The cut in the example is 35% for both width and height: this value ensures that each block includes the corner element. Picture 3 shows how it is possible, from blocks A, B, C and D of the original, to obtain 5 other blocks, a, b, c, d and e: these are the blocks that the Program cuts to obtain all the parts of the picture that are necessary to complete the background of the cell. 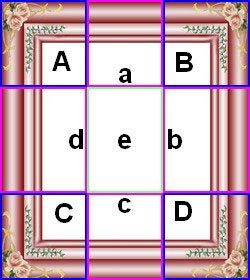 Blocks A, B, C and D are maintained unaltered and placed at the corners of the cell, and the other five blocks, a, b, c, d and e, are repeated to fill the rest of the space. The Fit to cell Background is, therefore, very useful for adapting the same picture to fit objects in cells of different sizes. You can save time with the Library: if you need to apply the same style to several objects, you can define it for one object, save the style and then apply it to all the others. ▪ In the page layout table, select the object you want to work on and click on the button to open the Object Style window. 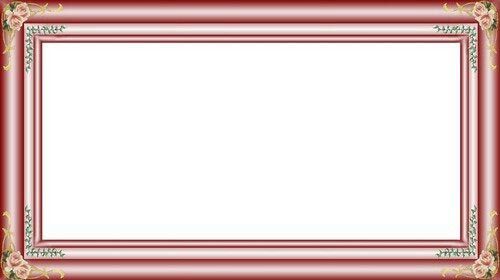 ▪ Use the available options in the Style and Text sections to obtain the look you want. 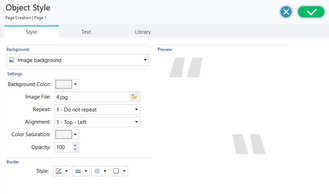 ▪ open the Library section and click on the Add button: a new style is created according to your settings. A preview of the style you have created is added to the list of Custom styles. ▪ In the page layout table select the object you want to work on and click on the button to open the Object Style window. 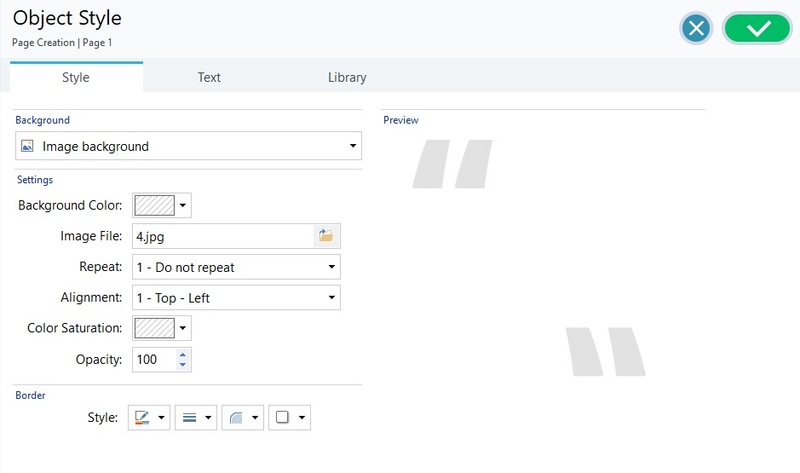 ▪ Go to the Library section and select the preview of the style you want to apply, choosing it from the list of Presets styles or from those in the Custom list. ▪ Click on the Apply button.